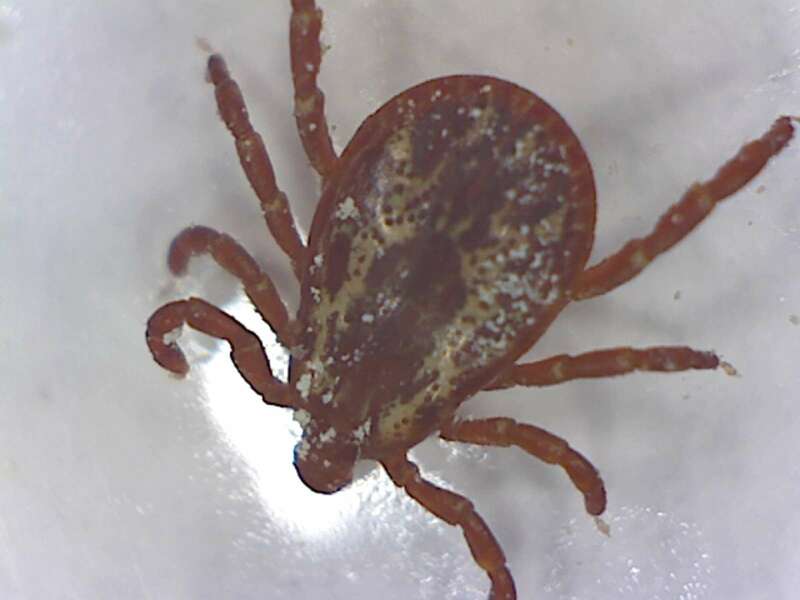 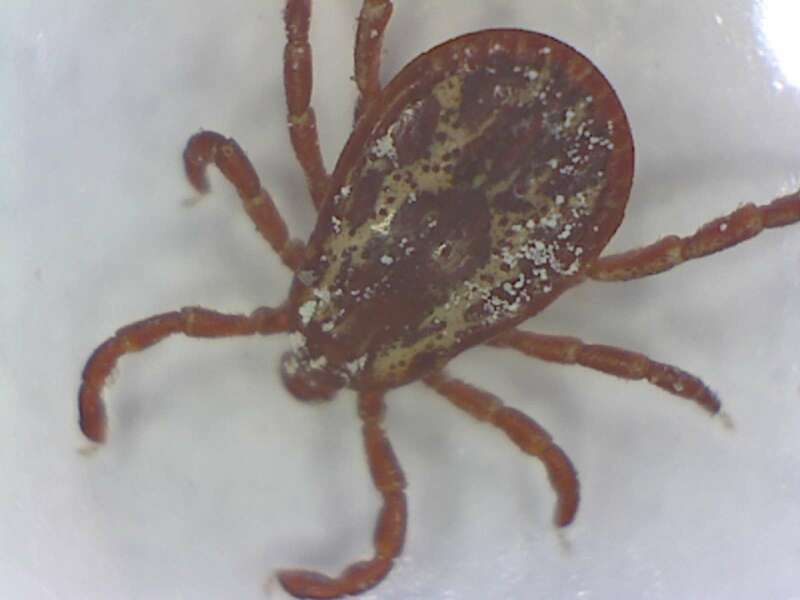 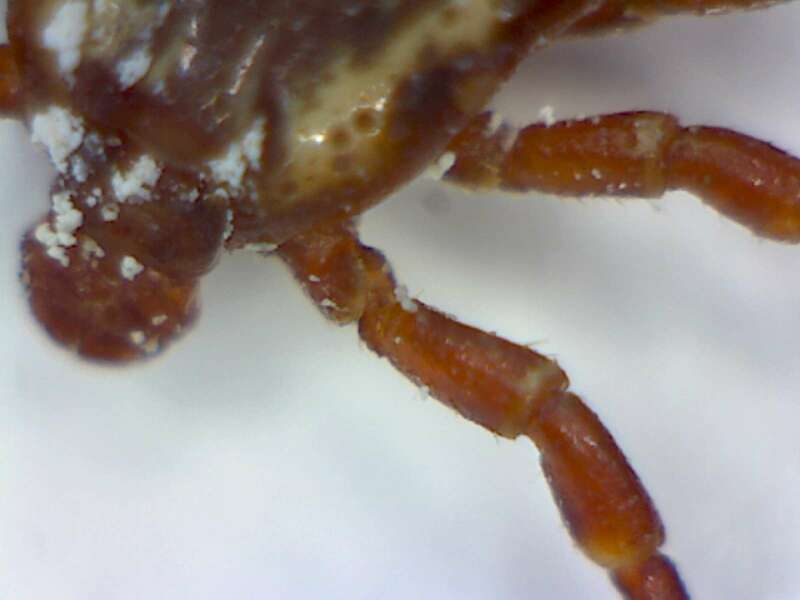 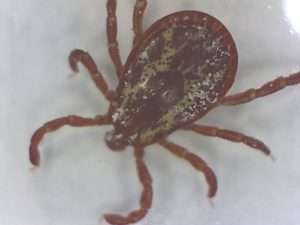 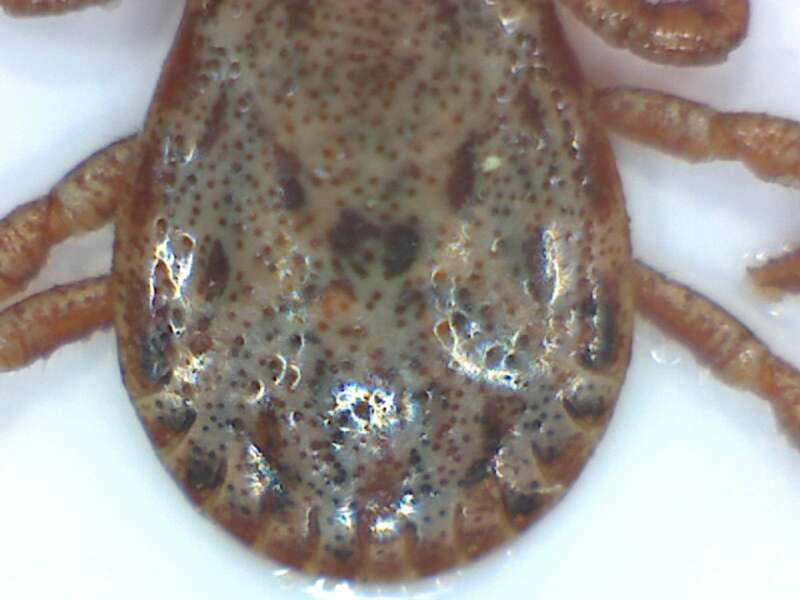 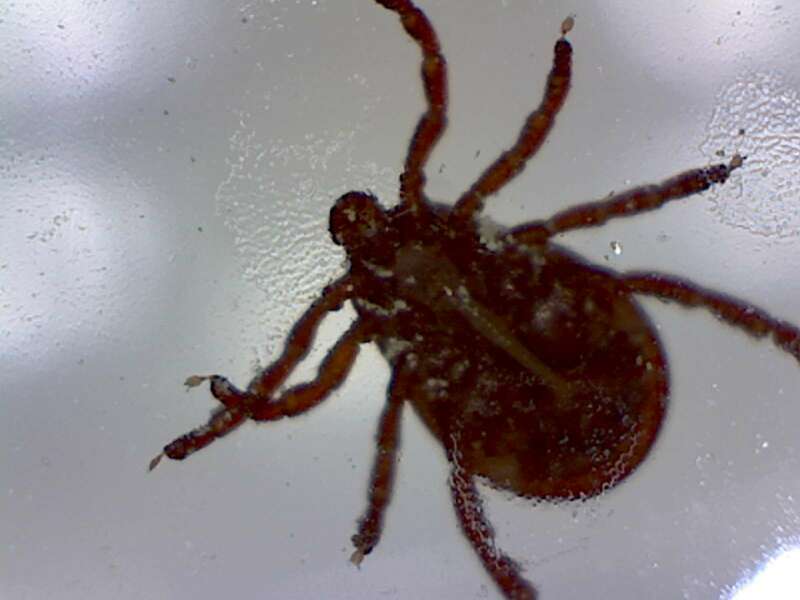 Here are some pictures of a male Pacific Coast tick, Dermacentor occidentalis. 3 April 2015. 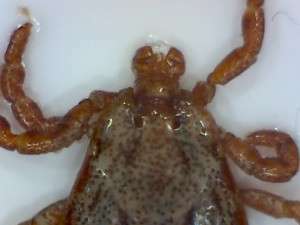 Specimen collected by David Muffoletto. Below are photos of another male Pacific Coast tick, collected by Mark Mills, May 4th, 2016, Sonora California. 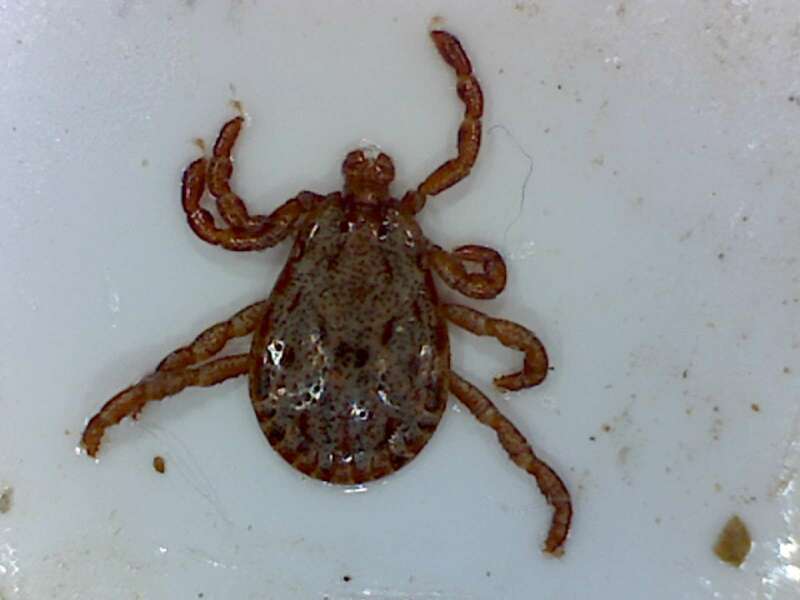 This tick was in the process of biting a person. 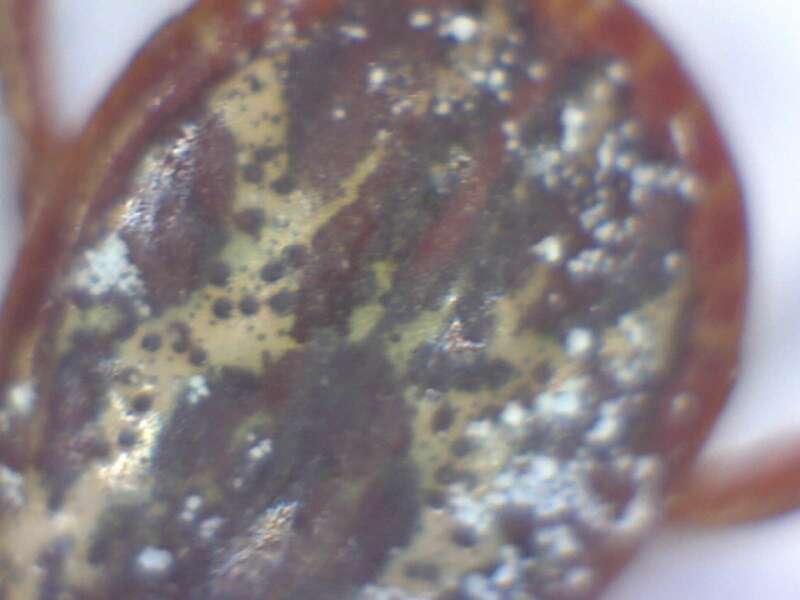 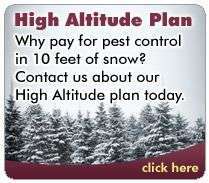 Thanks to Dr. Lynn Kimsey for the identification.